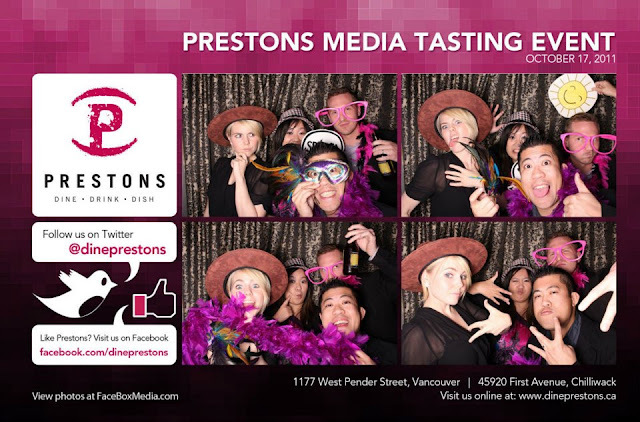 Prestons Restaurant media tasting event at Coast Coal Harbour Hotel on October 17, 2011. 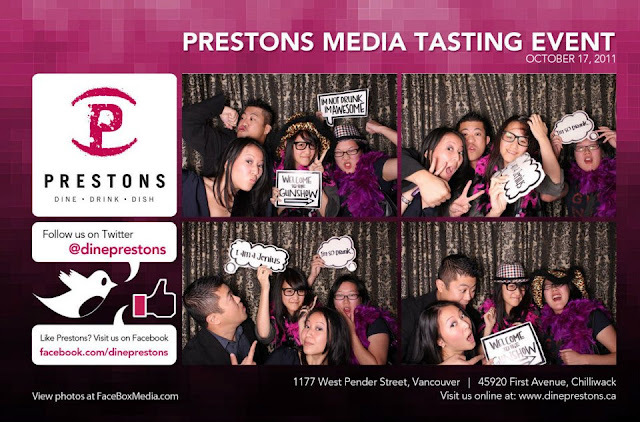 After a long hard Monday (not really), most of the Vancouver dining community came out for the celebration of Prestons new menu with an all out tasting party courtesy of the folks (and friends) over at Popcorn social agency. 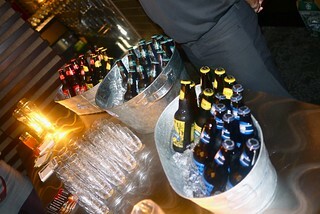 The drinks were good. In addition to their signature cocktail, I had a (very strong) bourbon tea sour. 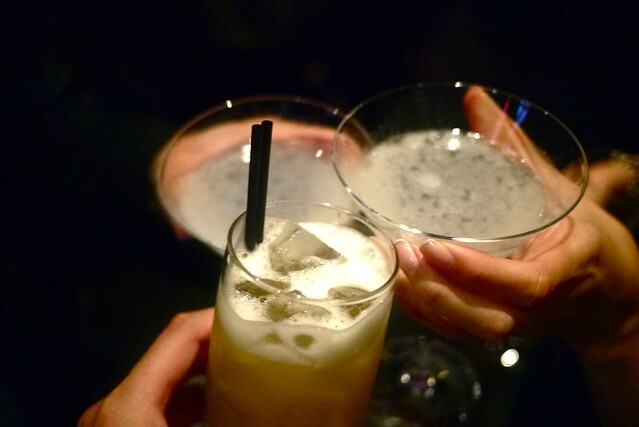 There were some fun drinks on the menu including lemon martinis, a Toblerone chocolate martini, and many more. Somehow, I can't ever imagine Chuck Norris drinking the drink that bears his name, a roundhouse kick of a martini no less. 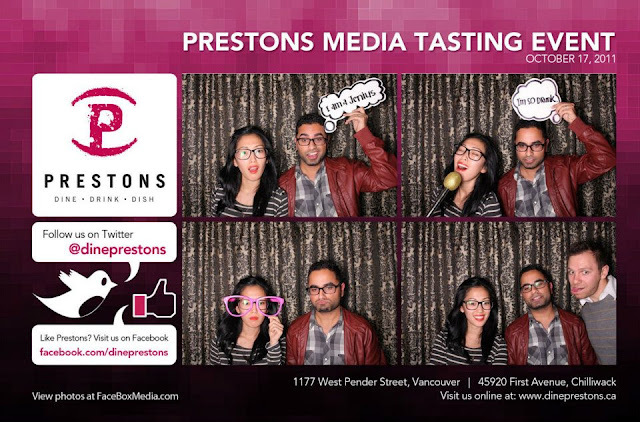 The Vancity Buzz crew were in full force with editors Karm Sumal and Crystal Kwon (above) there to represent . Crystal decided to double fist two green tea matcha crème brûlées. Oink. More silliness from Dennis, May, Cyndi Cheng, and Diana Chan from Foodology. 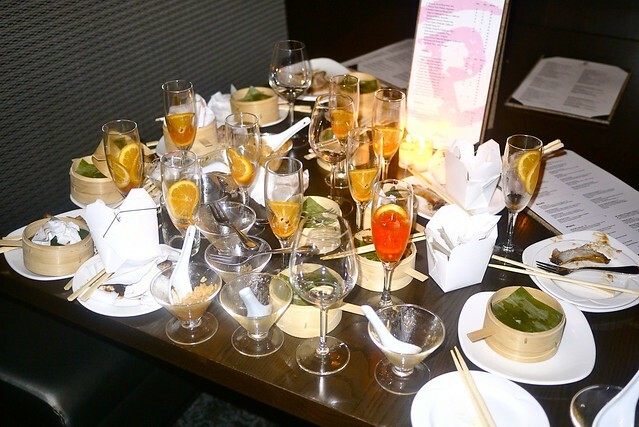 I really enjoyed the presentation with dim sum style containers, take out boxes, etc. The food itself was fairly tasty. The short ribs were delicious. The gyōza dumplings were scrumptious as well. I was a little disappointed, however, with the pulled pork poutine and sliders. 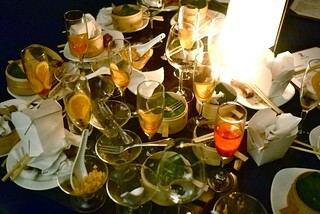 It was a more fun times in the intimate hotel restaurant and bar and as you can tell, much food and drinks were consumed heavily. Wow prestons looks good; where is it?